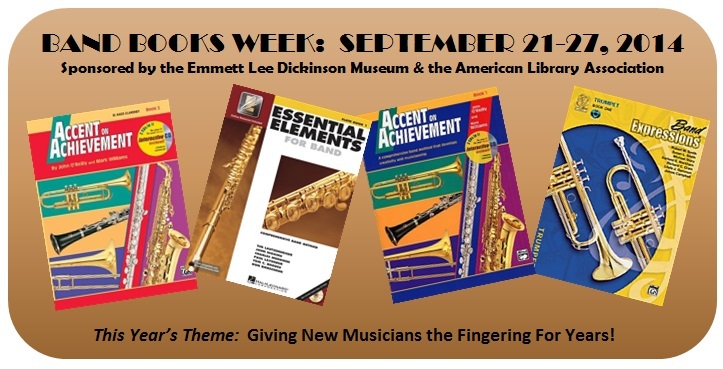 Band Books Week is sponsored by the Emmett Lee Dickinson Museum and the American Library Association. 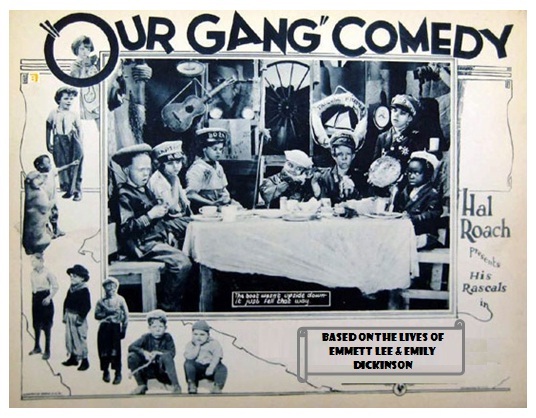 Above: An "Our Gang" poster which states that the comedy was "Based on the Lives of Emmett Lee & Emily Dickinson." 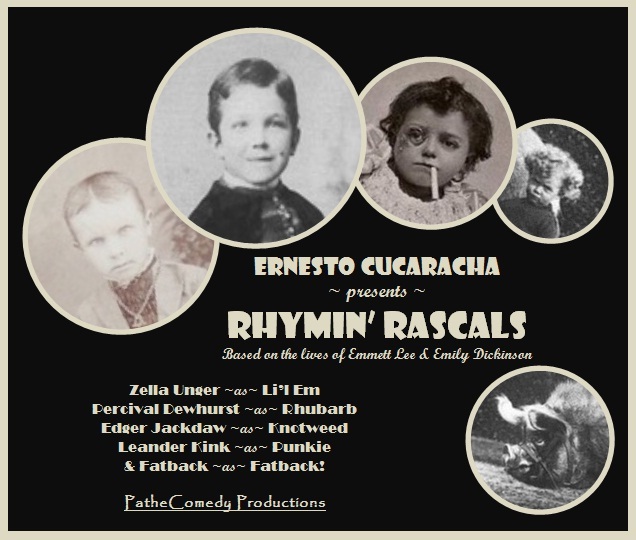 Although Hal Roach always said "Our Gang" was inspired by the lives of Emmett Lee and Emily Dickinson, the show was actually based on an earlier series called "Rhymin' Rascals" by Ernesto Cucaracha which was, in fact, based on the famous cousins. 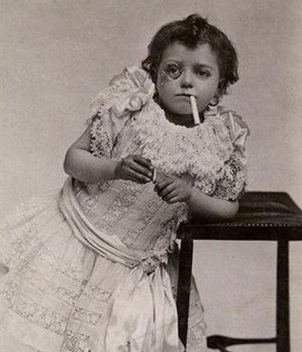 Below: Other child stars from "Rhymin' Rascals." 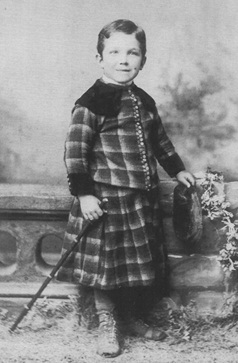 Left: Percival Dewhurst as "Rhubarb" (based on Emmett Lee Dickinson). 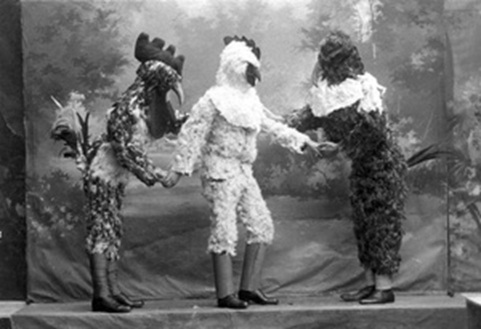 Center: Edger Jackdaw as "Knotweed" (based on Walt Whitman). 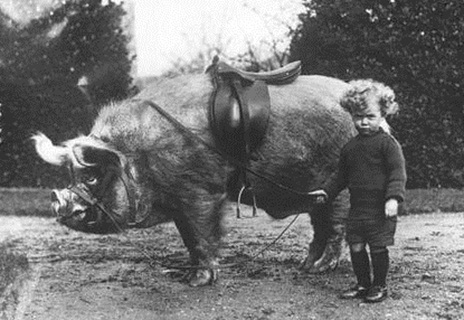 Right: Leander Kink as "Punkie" (based on Robert Frost) is shown with the Rascals' adorable mascot, "Fatback". 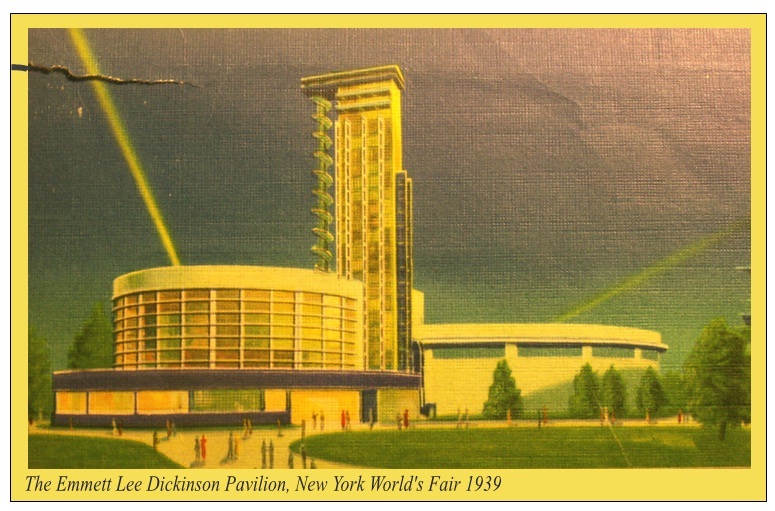 in flora and fauna, wildlife, agricultural reports, and corn. 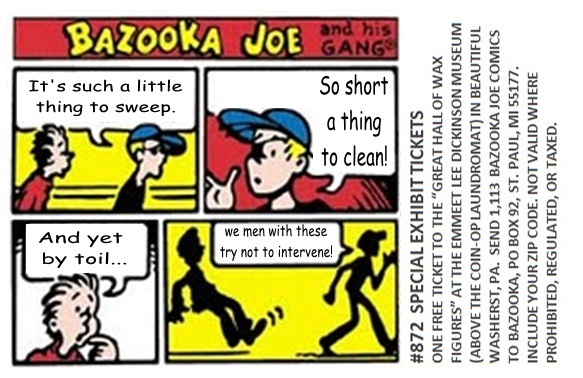 Bazooka Bubble Gum ran a special series of comics that included hundreds of Emmett Lee Dickinson's poems. 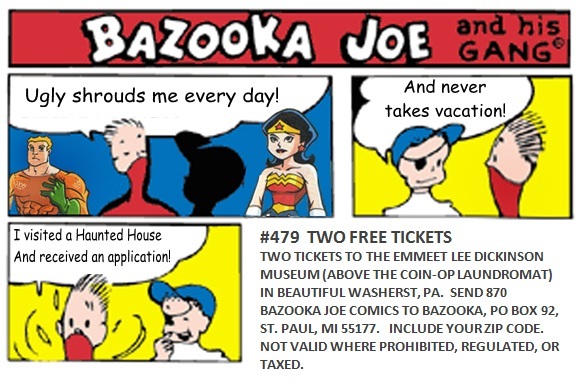 Below are two samples from the 150+ comics on display at the Emmett Lee Dickinson Museum (above the coin-op laundromat on Dickinson Boulevard) in Washerst, PA.
Click on the comics at the right to enlarge. 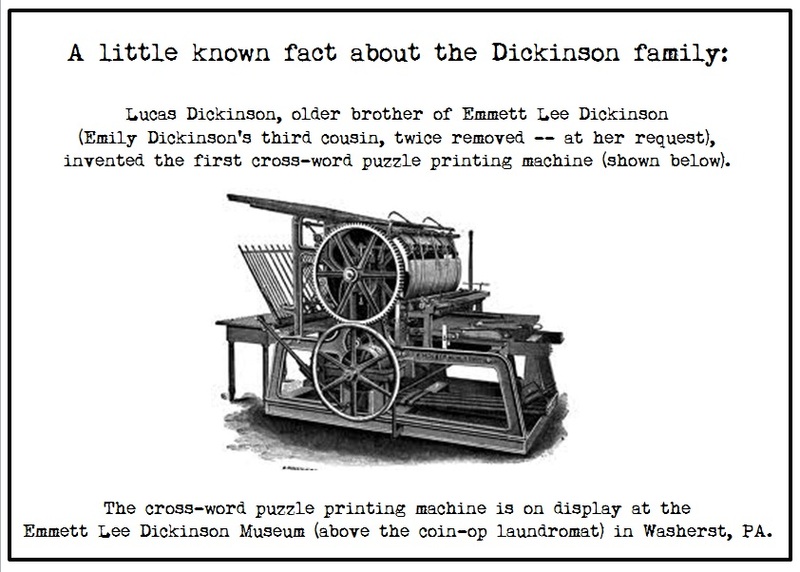 older brothers, invented the first cross-word puzzle printing machine. 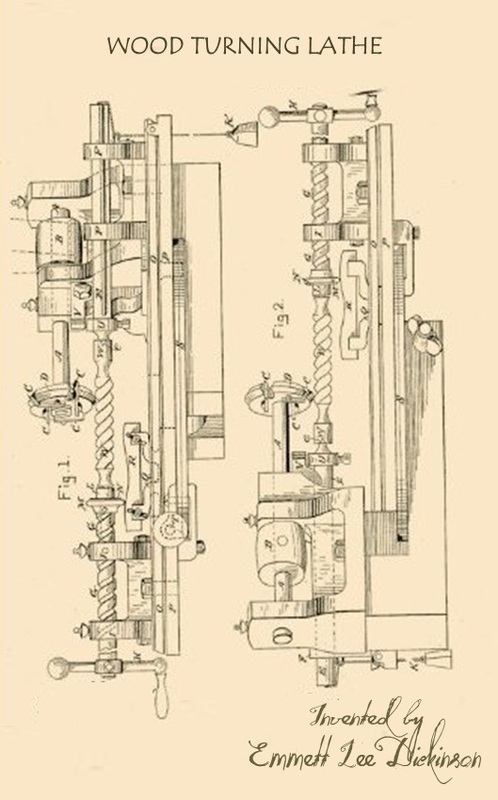 To the left is the schematic for Emmett Lee Dickinson's invention, the wood turning lathe -- destined to "revolutionize the newel post industry." It is on display at the Washerst Newel Post Museum. 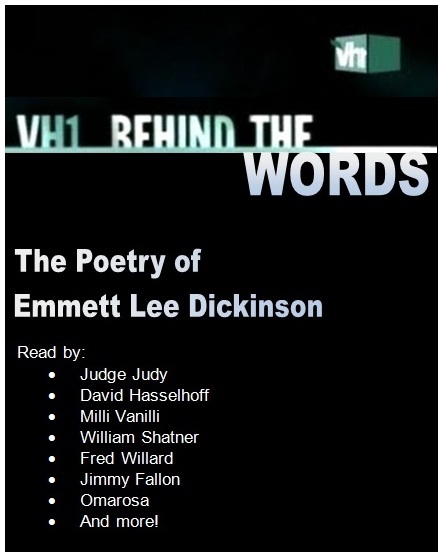 VH1's highest rated show EVER was the "Behind the Words" feature on the poetry of Emmett Lee Dickinson -- read by celebrities who gathered in Washerst, PA, on Dickinson's birthday in 2003. The Emmett Lee Dickinson Museum display includes the VH1 poster (to the right), Judge Judy's gavel, William Shatner's dopp kit (left behind at the Travelodge Motel when he departed), and Omarosa's sequined top (provided by the Washerst Dress Barn). Controversy swirled after the airing of the show when it was discovered that Milli Vanilli had lip-synced their renditions of Dickinson poetry from a recording of Kenny Rogers and Dolly Parton. 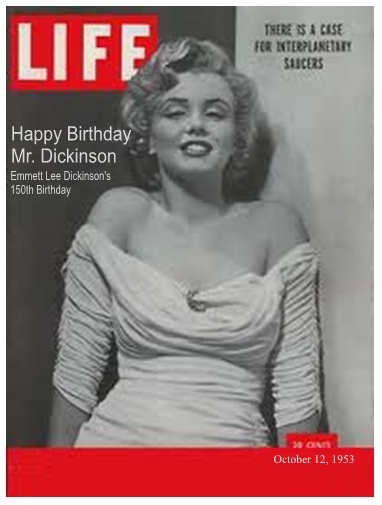 At the left: In 1953 Life Magazine ran a special double issue devoted almost entirely to Emmett Lee Dickinson and his poetry to celebrate the poets 150th birthday. In 1903, Dickinson was Time Magazine's Man of the Year. patterned Scout on Qwerty Jean. 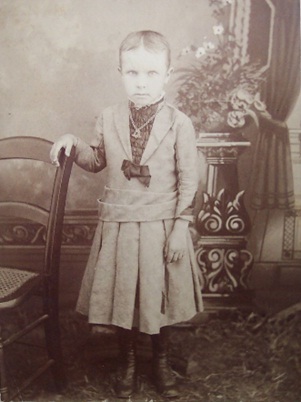 The character of Dill was based on Emily Dickinson, although many readers have mistakenly identified that character with Truman Capote. 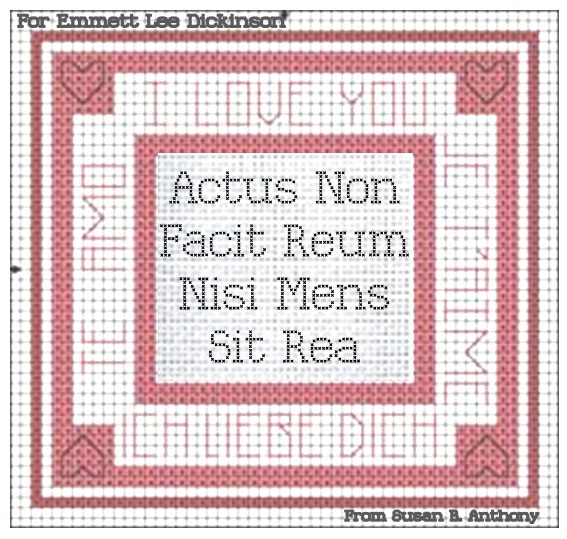 At the right is the crosstitch wall hanging that Susan B. Anthony sent to Emmett Lee Dickinson. She had been in the courtroom the day Dickinson was fined for discharging a firearm at an outdoor wedding. Earlier in her life she had received a similar fine for firing off a cannon at her cousin's bridesmaids' party, so Anthony rallied behind Dickinson with his courtroom protest, "Actus non facit reum nisi mens sit rea!" TV producers have translated Dickinson's work to the small screen on many occasions. In the 1963, Groucho Marx portrayed Emmett Lee Dickinson in a special Hallmark Theater presentation. 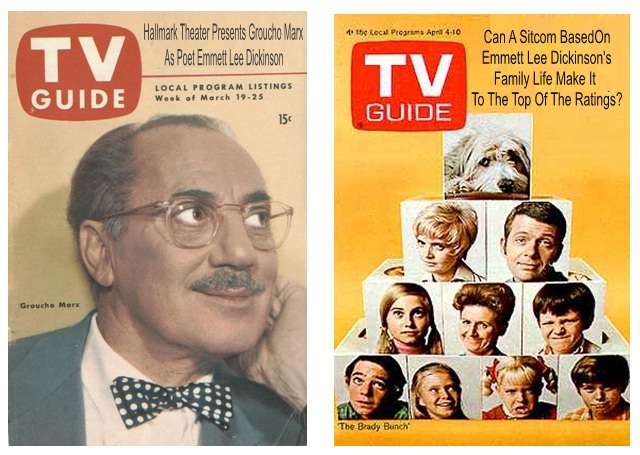 In 1969, Sherwood Schwarz created a TV sitcom based on the family life of Emmett Lee Dickinson. The series ran from 1969 - 1974. Hollywood has filmed dozens of movies based on the life and poetry of Emmett Lee Dickinson. 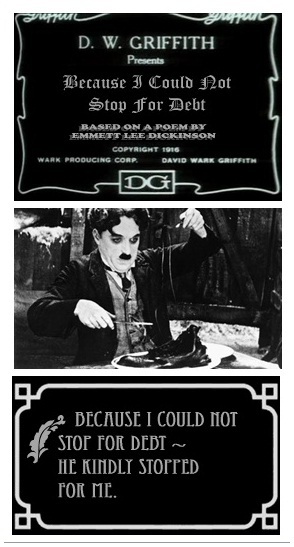 starred Charlie Chaplin, and it was met with critical acclaim. 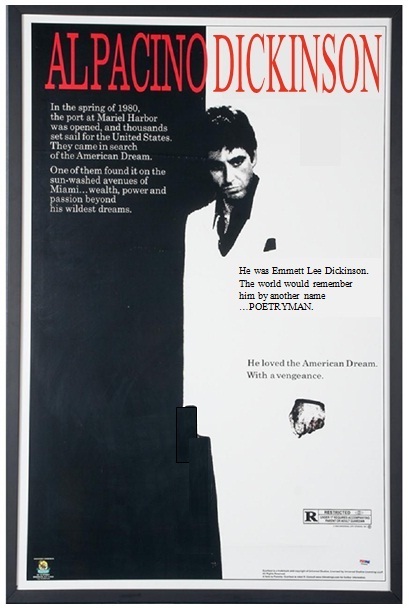 In 1983 Al Pacino starred in an epic crime drama based on the darker events of Dickinson's life. The movie premiered at the Ned Sullivan Theater in Washerst, and Al Pacino signed autographs in the lobby. 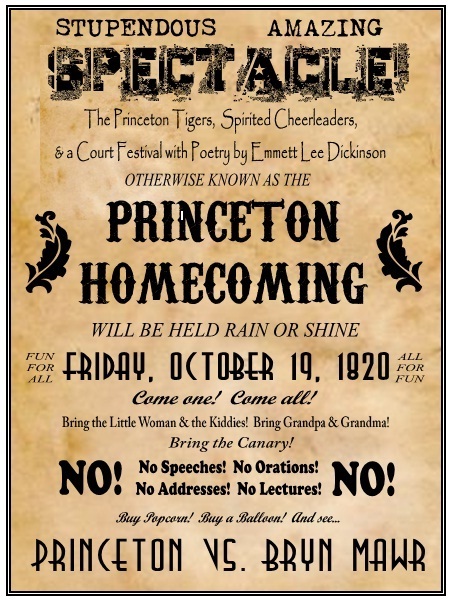 At the left: One of Emmett Lee Dickson's earliest public appearances was when he read some of his poetry at the Princeton Homecoming game in 1820 (Princeton lost to Bryn Mawr, 27-3). 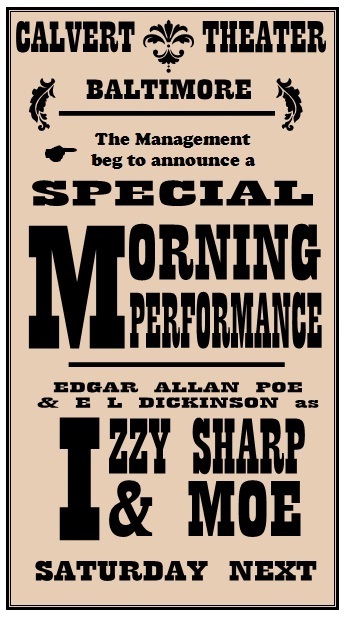 At the right: A poster from the Calvert Theater in Baltimore advertising a comedy show of Edgart Allan Poe and Emmett Lee Dickinson as "Izzy Sharp & Moe." 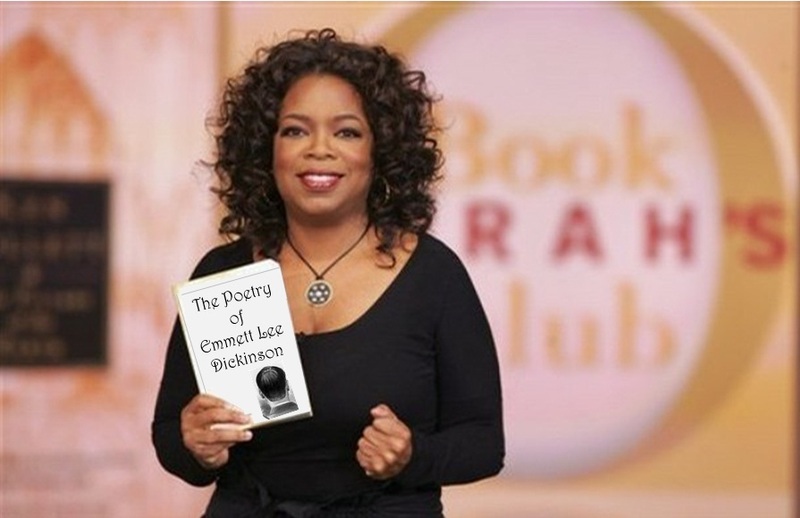 Oprah Winfrey said that the poetry of of Emmett Lee Dickinson changed her life, and her Oprah's Book Club feature of "The Poetry of Emmett Lee Dickinson" generated some of the highest ratings her talk show ever experienced. 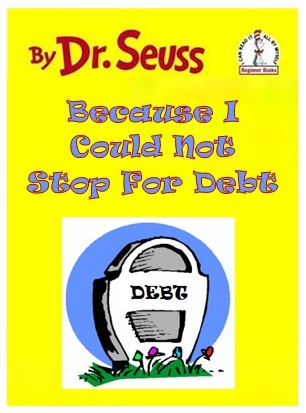 Because Oprah was so moved by Dickinson's poem "Because I could not stop for Debt," she encored one of her "My Favorite Things" extravaganzas at the 2012 DOPE conference. Guests of the event were inundated with some of Oprah's favorite things, including cinnamon waxed floss, double-A batteries, bacon flavored tooth paste, fanny pack floppy flasks, tube socks, Scottish shaving kilts, and full-body hooded unitards. 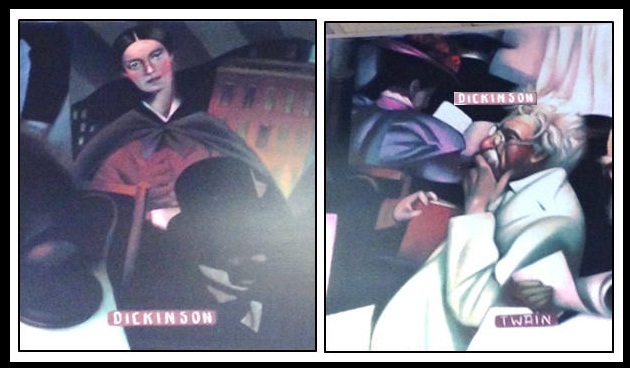 At the left: Both Emmett Lee Dickinson and Emily Dickinson are included in murals at most Barnes and Nobles stores. Andy Warhol was a great fan of the poetry of Emmett Lee Dickinson. 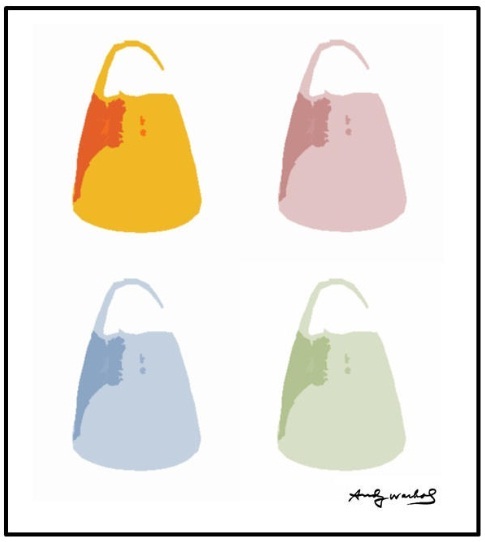 Pictured at the right: Warhol's homage to Dickinson, who invented candy corn. John Phillip Sousa's "Dickinson's March," named after poet Emmett Lee Dickinson (Emily Dickinson's third cousin, twice removed - at her request). In the mid-20th century, Washerst Pharmacal Corporation marketed "Dickinson Antiseptic" with the tagline, "Because I coule not stop for breath mints!" Also in the mid-20th century, Theodor Geisel – as Dr. Seuss – wrote a series of "Dr. Seuss ~ Dickinson Classics," all based on famous Emmet Lee Dickinson poems. I could not, should not stop for debt. I would not stop for debt with you. I would not stop for debt for two. I could not, would not in a flash! 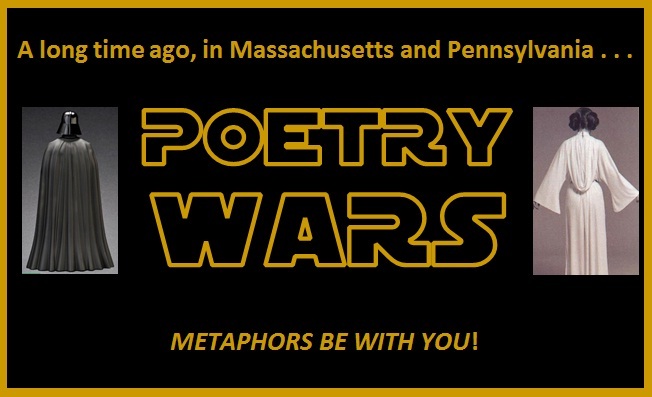 The tagline for the movie: METAPHORS BE WITH YOU!